Did you know that Charles Elmer Hires, a pharmacist, was the first to successfully market a commercial brand of root beer in 1876 called Hires? At first, he began selling a packaged dry mixture, but soon after he developed a liquid concentrate blended with more than 25 herbs, berries and roots. By 1893, the Hires family sold bottled versions of their well-known root beer. I remember drinking my first root beer at a drive in an A & W fast food chain in Montreal. Some of you might recall cars pulling in front of the restaurant with a waitress coming to get your order and bringing back the hot food to eat in your vehicle. Yes, those were the 70’s, a time before the convenience of a drive-thru. Times have change, but certainly not my appreciation for a refreshing glass of root beer. If you love root beer like I do, you will like it in a cupcake. A must to make for all root beer fans! Whisk together the flour, baking powder, and salt in a medium bowl, set aside. 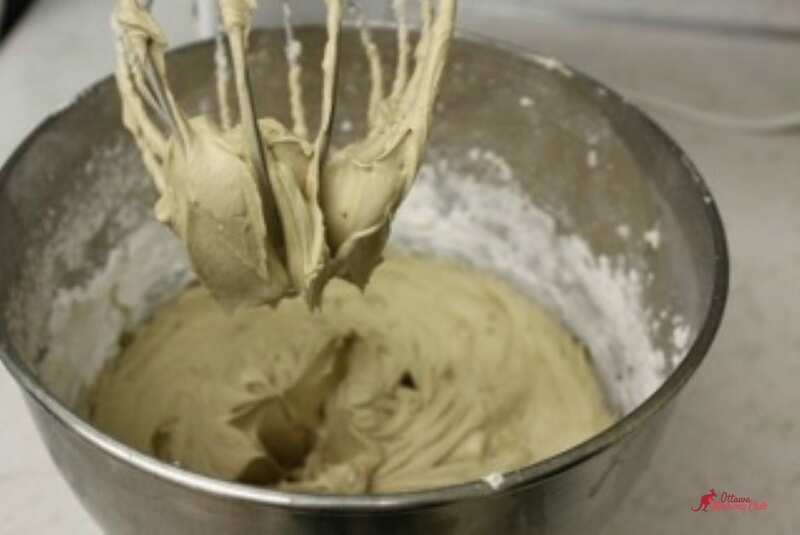 Beat together butter and granulated sugar with a mixer on medium speed until combined. Add eggs and beat well, scrap the bowl when necessary. Reduce speed to low and gradually add flour mixture, beat until combined. Add milk and the mug root beer and beat blended. Use an ice cream scooper or a big spoon and portion batter evenly into the cupcake tins. 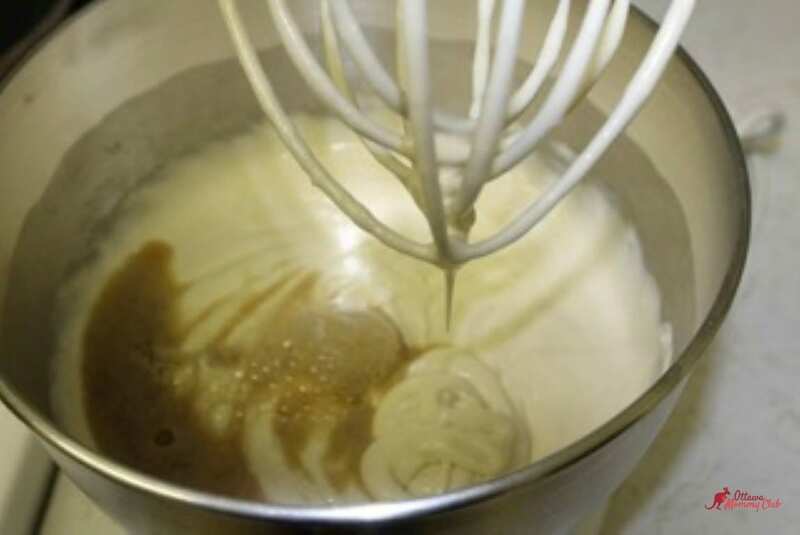 In a mixer, using the whisk attachment, mix together sugar and butter. Mix on low-speed until blended and then increase speed to medium beat for 3 more minutes. Garnish with a root beer candy. Looks delicious! I used to love Root Beer Floats as a kid and these would be perfect for a party. I love Root Beer flavor in almost anything, slurpees & suckers especially!! A&W has the best Root Beer Suckers!! Weirdly I dont like Root Beer pop but this recipe looks delicious!! A&W root beer is the best:) Hoping you like the recipe! I loved Root Beer Floats when I was a kid, so if these taste like that, I in.